One of the biggest challenges travellers face – even seasoned ones - is packing enough to fit in a suitcase and carry-on bag without making it difficult to get around. We’ve all been in situations when packing lightly, we forget an important item. Inevitably, we’ve said to ourselves, “I could really use a (fill in the blank) right now.” This is why multi-functional items are great. They conserve space and they’re versatile. One of the most difficult parts of travelling is getting comfortable enough to sleep. 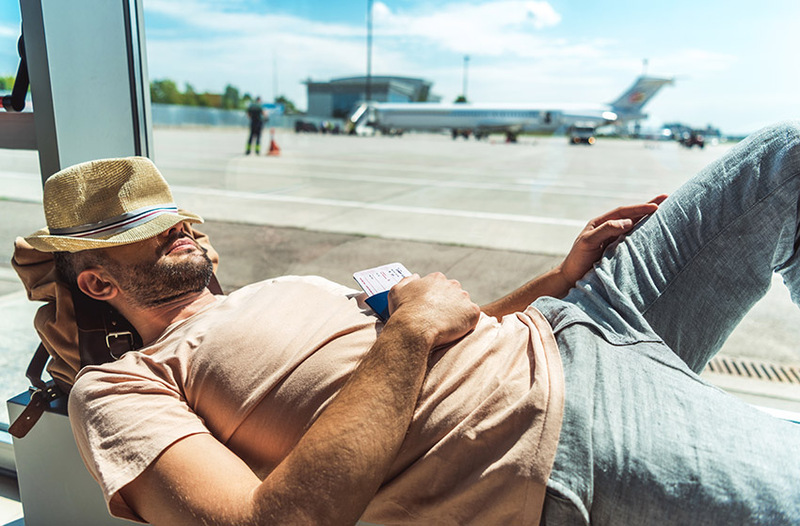 How often have you been on a flight, in the car or even at the airport and wanted to catch a few minutes of shut-eye but with no place to rest your head? Welcome the Sleep Hoodie to the rescue. It’s a sweater with an inflatable cushion that offers you support and helps you sleep while you are on the go. It’s the perfect travel accessory. Forget the neck pillow that is either to soft or too hard, or resorting to rolling up the airline blanket for extra head support. This hoodie will envelope you through your flight. Once you’ve planned what you’re packing in your luggage, don’t forget travel insurance. For worry-free travel, get your Blue Cross travel coverage before you leave. In case of any emergency, you’ll have free access to 24/7 travel assistance services.